It is a remarkably good novel. Well, I recently got around to reading “The Orphan Master’s Son.” It, too, is exceptional. 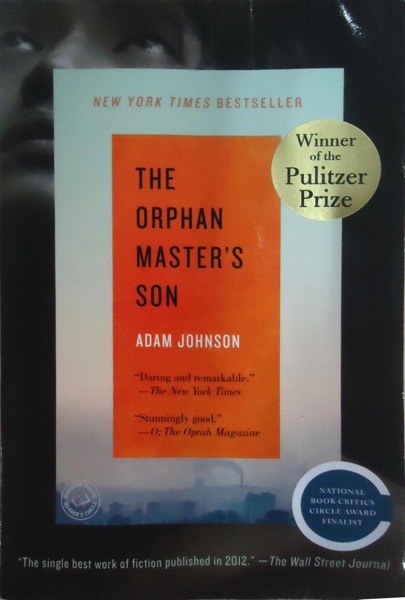 Adam Johnson’s remarkable novel “The Orphan Master’s Son” is set in North Korea, an entire nation that has conformed to the fictions spun by a dictator and his inner circle. Mr. Johnson’s book is based on years of research (including a trip to North Korea that the regime carefully choreographed), and though experts on the region will know better than I, his depictions have the feel of eerie authenticity. Set during the recently ended reign of Kim Jong Il, the book is a work of high adventure, surreal coincidences and terrible violence, seeming to straddle the line between cinematic fantasy and brutal actuality. Indeed, there is a Gabriel García Márquez-style magic realism about the book. It’s very much worth reading, especially for those interested in North Korea.